At Mizzou, we want our application process to be as straightforward as possible. We know applying for college can be stressful at times. Meeting deadlines, filling out applications, searching for scholarships, writing essays, visiting colleges, taking the ACT or SAT, submitting your FAFSA — it can easily overwhelm you. Read on to see just how simple applying to Mizzou can be. Our admission requirements are easy to understand. To be eligible for admission, you must complete the appropriate high school coursework with good grades and have an acceptable ACT or SAT score. If you are applying to Mizzou with a high school equivalency certificate, you must meet separate admission requirements. Tired of writing an essay for every college application you submit? If so, you’ll be happy to know Mizzou’s application is essay-free. Filling out our application is quick and easy, and you can always save your progress and come back to it later if you need to. Request that your official high school transcript be sent directly to the Office of Admissions. 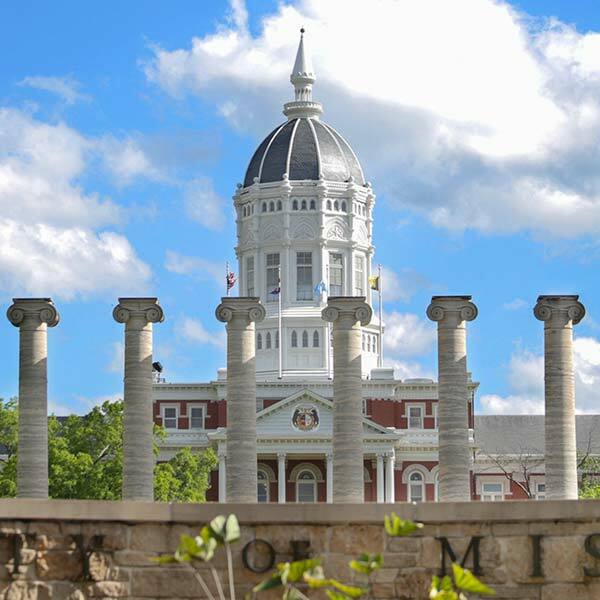 Request that your official ACT or SAT scores be sent directly to Mizzou from the ACT or College Board. Have a valid MasterCard, VISA or Discover credit card or your bank information available for the $55 application fee. Check to see whether your AP, IB or college credits will transfer to Mizzou. Request official transcripts of any college coursework once you have completed those courses. Mizzou offers multiple forms of financial aid, including scholarships, loans and grants. You are automatically considered for several scholarships simply by applying to Mizzou. To apply for other scholarships, you must submit the MU Annual Scholarship Application by Dec. 15. You must apply to Mizzou before you are granted access to the scholarship application. Come see for yourself what Mizzou has to offer.